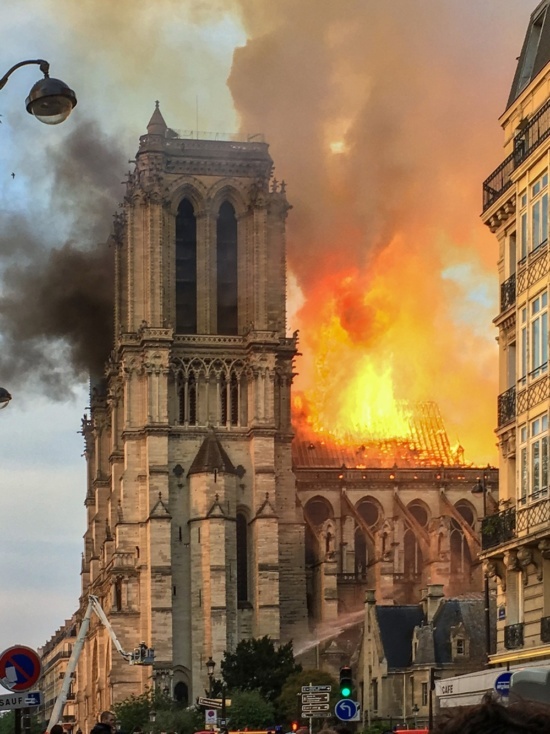 A large fire has engulfed Paris’s historic Notre Dame Cathedral, causing an incredible amount of damage to the 800-year-old stone and wood structure. 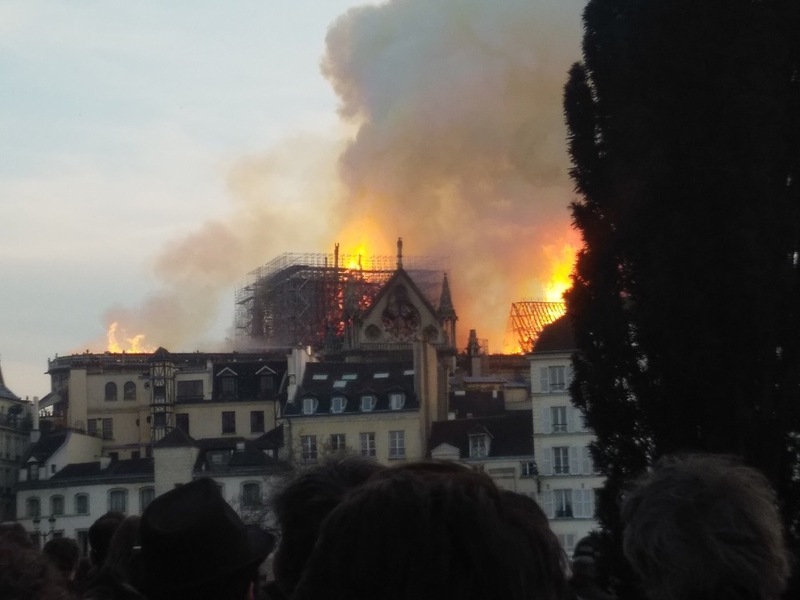 Reports of the fire started circulating online late Monday afternoon, Paris time, as tourists and residents posted photos and videos of the blaze on social media. As of Monday evening, the majority of the blaze had been contained, though it had not been entirely put out. Initial reports indicate that the main structure has been “saved and preserved” despite substantial damage to other elements. Portions of the transept and nave roof collapsed during the blaze, as did the cathedral’s main spire. Reports indicate that the cathedral’s main western stained glass rosette window has been destroyed, as well. Other reports indicate that other stained glass windows remain but their status is not entirely known at this time. Many of the relics held at the church—including the Crown of Thorns believed to have been worn by Jesus Christ—were promptly removed and secured, according to authorities. Because of ongoing restoration work, large bronze statues depicting the twelve apostles typically located near the spire that collapsed, including a statue of St. Thomas the Apostle bearing the likeness of architect Eugene Viollet-le-Duc, were recently relocated to southern France for restoration. Following the blaze, French citizens took to the streets singing prayer songs and chanting in solidarity and mourning for France’s premier cultural and religious site. The cathedral welcomes over 13 million tourists every year according to official estimates and was currently undergoing restoration work. Some of the initial images seen from inside the still smoldering nave of the church taken by journalists Monday night showed damage that appeared less dire than originally feared. In short order, France’s wealthiest citizens began pledging large donations to help pay for the restoration of the cathedral. So far, over $600 million has been promised to the project. “This cathedral will be rebuilt, I promise you,” French president Emmanuel Macron said in a speech following the blaze while announcing that a national campaign will get underway on Tuesday to collect the funds necessary for the rebuilding effort.